It's all about the buns: Pretzel Burger is back! 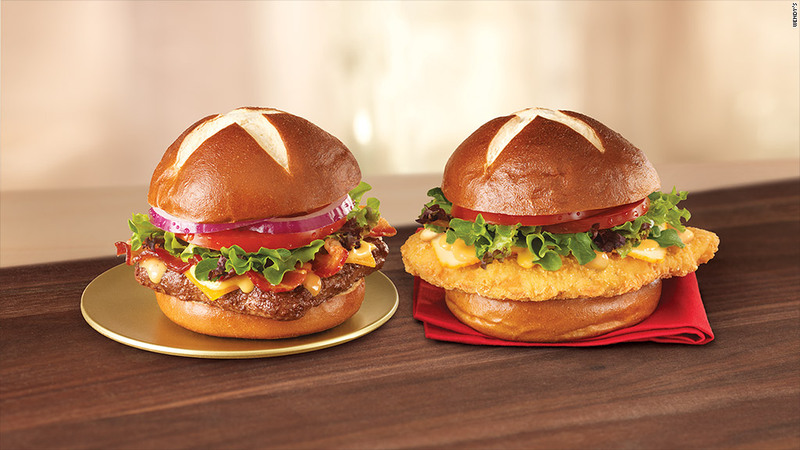 Wendy's is hoping to recapture the magic of the pretzel bun this summer. Wendy's is bringing back its Pretzel Bacon Cheeseburger and its Pretzel Pub Chicken Sandwich over the July 4 weekend. The fast food chain introduced the pretzel burgers last year for a few months. Wendy's (WEN) said customers gobbled down 50 million of the sandwiches, which were made of a soft pretzel bun. 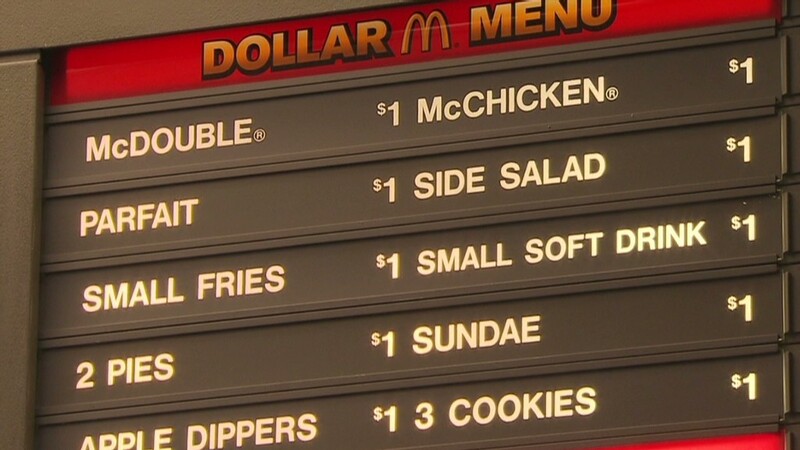 It helped boost sales at Wendy's by 3% in both the third and fourth quarters. It was the first pretzel bun in mass production. "It was really unique. It tasted better, absorbed the burger drips better... it helped create a different style of bun," said Warren Solochek who covers the fast food industry for NPD Group. Their popularity even sparked imitators, according to Solochek. Wendy's wouldn't say if the pretzel burger will return to its menu for good. But it's back for now. "Consumers made it clear that we couldn't say goodbye to pretzel forever," said Wendy's chief marketing officer Craig Bahner in a press release.